Conservation land trusts, more commonly called land trusts, are private 501(c)(3) nonprofit organizations that protect land important to your community for its natural, cultural, and recreational value. These publicly supported organizations also sustain healthier and more resilient economic development in your community and throughout the state. 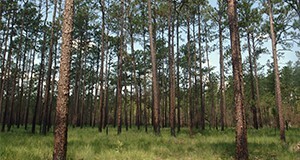 This 5-page fact sheet written by Benjamin W. North, Elizabeth Frances Pienaar, and Jessica D. Sullivan and published by the UF/IFAS Wildlife Ecology and Conservation Department outlines the basic steps to creating a land trust and provides links to the necessary documents and resources that will assist you in creating a land trust.